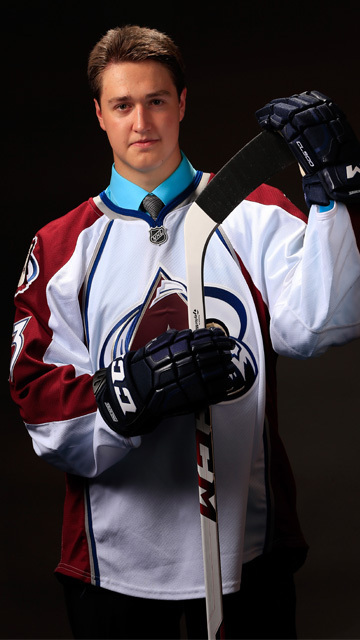 Yesterday, Colorado Avalanche prospective defenseman Chris Bigras was with the San Antonio Rampage in the AHL. Today, he will be making his NHL debut in Denver against the New Jersey Devils. “It was a moment of shock for sure. For a second, I didn’t know what to think or what to do, but [I was] extremely excited afterward,” Bigras said of getting the call to join the Avs. “Called both my parents right away and told them the good news. This is the day Orillia, Ontario, native has been building toward his whole career. “I tried to come into the season hoping to be up here, and whatever happened, happened. It’s awesome that it did happen,” he said. “I’m extremely grateful for the opportunity here. Selected in the second round (32nd overall) of the 2013 NHL Draft, Bigras is in the midst of his first professional season. He made his pro debut at the end of last year with the Lake Erie Monsters and had played in all 37 of San Antonio’s games prior to being recalled by the Avs. He has 19 points (six goals, 13 assists), putting him second among team defensemen and fifth (tied) on his club in scoring. Bigras and fellow prospective blueliner Nikita Zadorov—who leads Rampage rear guards with eight goals—were called up by the Avalanche on Wednesday morning, a day after the team lost its second consecutive game. Colorado head coach Patrick Roy admitted the assignments, which saw Brandon Gormley sent to join the Rampage and Nate Guenin placed on waivers, were to inspire the Avs and get them back to playing better hockey. “We sat down after the game, and we felt that we need a spark,” Roy said following practice on Wednesday afternoon. “These two guys are part of the future of this team. We feel that these guys could help us to create that spark. We’re certainly curious to see how ‘Z’ and Chris will play. For each player, being a catalyst means staying true to who they are on the ice. Although both call-ups will be in the lineup tonight against New Jersey, their future standing in the depth chart will depend on how they perform. “First of all, I said to them, ‘It’s your chance,’” Roy said after morning skate on Thursday. “It’s their chance to push some guys out of the lineup, and we’re going to want some consistency from [them]. We’re a team that wants to make the playoffs, and they’re having an opportunity to show what they can do. “From Z, he’s a big man. I want him to be intense on every shift. I don’t want him to be casual out there. I want him to, when he makes a pass, [have] knees bent [and] be ready to follow the play. He has the tendency to, when he makes his passes, stand up tall and look what’s going on. I want him to stay involved. When he does that, I think he could compete against the top lines. 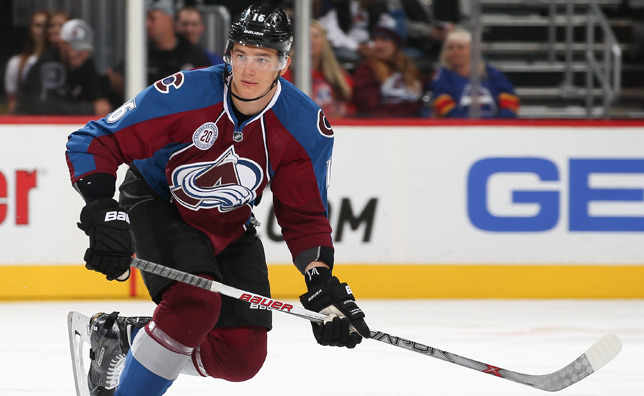 Zadorov had two assists through 11 games with the Avalanche this season before being reassigned to San Antonio on Nov. 7. He has 18 points (eight goals, 10 assists) in 28 games with the Rampage since then. “It was great experience, lots of ice time. I got more comfortable working on other things they want to see. Just happy to be back,” the 20-year-old Russian said of his time in the AHL. “I’m just going to play my game. They know how I can play and be good. I can help this team to win games, and that’s what I’m going to try to do tonight. Another prospect that’s spending some decent time with the Avs is netminder Calvin Pickard, who will get the start against the Devils. Pickard has been supporting the Avalanche while regular backup keeper Reto Berra is sidelined with an ankle injury; a situation that hasn’t caused Roy to lose any sleep. Pickard has seen playing time in five games (one start, four relief appearances) with the Avs this season and will be starting at Pepsi Center tonight for the first time during the 2015-16 campaign. His previous start and only decision of the season came in a 35-save effort in a 6-3 win in San Jose on Dec. 28. The 23-year-old goalie has posted a .903 save percentage and a 3.46 goals-against average in the NHL this year. He owns a 9-8-4 record with one shutout, a 2.75 goals-against average and a .917 save percentage through 21 games played for the Rampage.